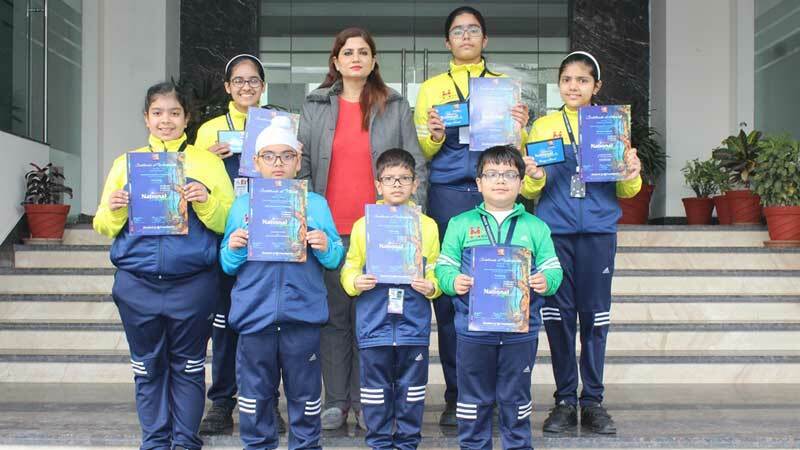 The young artists of Manav Rachna International School, Ludhiana have painted their success at 7th All India Children Art Contest organized by ARTinfoINDIA.COM on the topic ‘Colours of National Symbols’ recently. Four entries by MRIS, Ludhiana students in different groups have been awarded. Darshit Singh of Grade-III has won the merit certificate in Group C.
The works of the selected students were displayed in the Art Gallery Exhibition at India Habitat Centre, Lodhi Road, New Delhi. Eulogizing the strenuous efforts of the teachers and the students, Dr. Rupali Saini, Principal of the school said that this is the infinite talent and capabilities of our young artists that they have made a mark at national level.